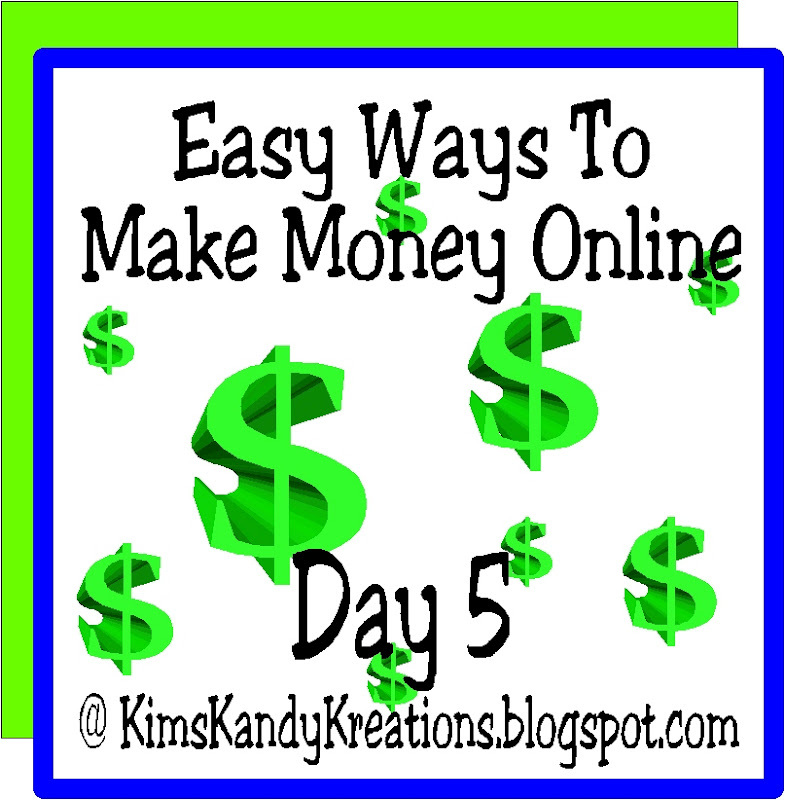 I'm finishing up this week of the Earn Money Online blog series with this post which really means alot to me. I know it's long, but I hope you'll read and understand why I love it so. After a short year of marriage, Dear Hubby and I found ourselves finishing up my last year of college, poor, pregnant, and living far away from family. With only a month left to go before Drama Queen was born, I started having pains in my leg. My doctor told me to go home and take some Tylenol. A week later I ended up in the hospital. I had developed a blood clot in my left leg. The ER doctors told me if I had waited any longer to come in, I'd probably be dead. That scared Dear Hubby pretty bad, but for me, it left me almost unable to walk. The clot had destroyed the large vein in my leg and the smaller vessels were now carrying all the blood. This left me with alot of pain whenever I stood for a long time or tried to walk. So I didn't do very much of either. I lived that way for many years. After Daredevil was born , I was working for the US Post office and they were getting ready to close down the center I was working at. I wanted to be able to find a way to stay home and not have to leave my babies anymore, but didn't know how to do it. I started looking at different work from home jobs. I tried doing Medical Transcription, but quickly discovered I just didn't have the memory to learn all those crazy words. I looked into stuffing envelopes and learned it's more about selling people information they didn't need. I looked into those Make Crafts at home opportunities, but learned the companies are never satisified and you never really made money because they kept jerking you around. I even tried Herbalife for a while, but found you had to spend a fortune to get a website or sell alot to make any money. I didn't want to sell anything. I didn't want to have to do parties. I didn't want to sell to my family and friends. I didn't want to leave my babies. I didn't want to spend a lot of money. (I was still broke from the Herbalife start up fee.) Ideally, I wanted to work at home on my computer when I had the time and energy to work. I thought I was out of luck. Then I found a company and a team of women who seemed to have it all. I could work from my home in my time. I didn't have to sell anything. I didn't spend any new money. It only cost me $29.00 to join and that was completely refundable if I HATED it. I thought that sounded like a good idea to me. So I decided to give it a trial run. 11 years later, I'm still a member. When I joined, I found an answer to my prayers. I found a company that made great products for a decent price and by simply sharing the company, I could stay home with my babies. But one of the products that this company had was one that helped circulation. After a few weeks on this product, I was able to walk again! I'm not sure what it did, but I didn't have pain anymore. And as a side note, it also helped get rid of my daily headaches! For that alone, I am a customer for life! But they have many other products that are amazing. These are products that you and I are already buying...toothpaste, soap, shampoo, deodorant, vitamins, dish soap, cleaners, and more. These products simply replace the ones in your cupboards. So you're getting better, healthier products. They are all reasonably priced and ALL are completely refundable if you hate them. Does Walmart say that? And the great thing was, I didn't have to sell these products. I simply bought what I needed each month--that's it. Then I shared with others so they too could get great products and they bought what they needed...from the company...not from me. So long story short (I know--too late!) , this is a great company with great products. By simply sharing the company, you can make extra money. (You already share movies, products, and services you love, don't you?) You can make a little extra money, or a lot. It all depends upon you. 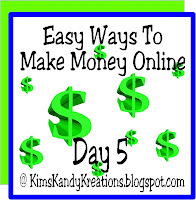 So you can earn enough to shave some money off your product order or you can earn enough to pay for that big Shindig you are planning or you can earn enough to stay home with your babies. You may wonder why I'm not giving the company's name or more info, but they want to avoid being one of "those" companies that get bad reputations, so they encourage you to talk to the people interested and tell them the TRUTH. Not hyped up, give me all your money info, but the truth. If you want to know more, feel free to drop me a email, text, or visit my website HERE.